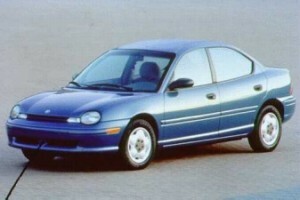 Scott Furrow pens an entertaining letter to Chrysler regarding his experience with a Plymouth Neon. I own a new Plymouth Neon. Actually, most of it is new. In five years, I’ve had to replace most of the car because of faulty parts and second-rate engineering and inferior workmanship. Am I exaggerating? I wish I were. The fact is that I’ve had several mechanics and dealers literally laugh at me for buying this Neon. “You should have bought Japanese!” they say. I don’t think that’s funny. Do you think its funny? I don’t think its funny. Mechanics are generally not funny people.In 1999 alone I spent over $2000 trying to fix stupid problems on this car, not including some expenses that you paid for! This is a typical year. Only one towing this year, which is an improvement over past years. However, I’m happy to report that I still have the original air bags in the dash and steering wheel! Since my car is in the shop much of the time, there’s less of a chance I’ll get into an accident. So, you’ve at least built a safe vehicle. Bravo!There isn’t much on this car that hasn’t failed yet. It’s quite remarkable. The only thing that works well is the “check engine” light. It’s on most of the time: bright, yellow and warm. It lights up the whole cabin at night, advertising to passengers what a fine machine I drive. Actually, I’m so accustomed to the “check engine” light, it’s kinda spooky whenever its not on – I must be a little afraid of the dark. Incidentally, the cabin is even darker than usual now since the dome light is fly-by-night, and the lights in the dashboard flicker and don’t work half the time. Oh, the bulbs aren’t out; I’ve checked that. But, if I give the dashboard a good thump, sometimes I can get the lights to come back on. It makes me feel like the Fonz! All this being said, the car does look nice on the outside. Very shiny, a rich blue color. That’s because all of the original paint peeled right off the car. Lucky for me, all the paint peeled off while one of your wayward dealers was washing it. “I’ve never seen one this bad, usually there are signs of bad paint, but yours lost all of its paint at the same time” he said. Thanks, I like being unique! I had two weeks left on some paint warranty as it turned out, so you repainted the whole car. Thanks! It only cost me some dubious $200.00 deductible – one of the many amounts I’ve paid that I feel Chrysler should have paid. I don’t think defective paint should cost me anything. That’s crummy customer service. How long have you been painting cars anyway? Seems like paint is something you should have down by now. Lots of other peculiar things have gone wrong with the car. The reservoir that holds excess coolant developed a hole and drained itself, causing my car to overheat in a seedy neighborhood. That was a neat experience. Naturally, the Chrysler mechanic told me he’d never seen that happen before in a car that wasn’t in an accident. That part took several days to get since no one keeps them in stock, so I was told. Also, its wasn’t covered by any warranty since its never supposed to need replacing. I got to pay for that one too! My car has lots of firsts; your research and development department should give me a grant. Glue oozes out of the rear window on hot days. It’s very hard to clean that sludge off the side of the car. I’ve heard different cockamamie stories from you why this happens; I don’t buy any of them. I don’t think you really know why this happens. I’ve noticed this problem on many early model Neons. I would think you’ve been putting rear windows in cars almost as long as you’ve painted them. I guess it takes a while to get that down though. I am expecting the rear window to fly out eventually. For this reason, I don’t drive behind other Neons. The trunk latch mechanism at the driver’s seat broke, the turn signals stick, the trunk won’t stay open on its own most of the time, among other kooky things. Thinking these are only small, insignificant defects? Au contraire, mes amis! They just exemplify the lousy construction of this vehicle, which has resulted in thousands of dollars in major repairs, both to you and to me. Pardon my French. This year, I blew a head gasket. That only cost me $1300. The mechanic told me it’s a common problem with Neons. In fact, I have a friend who had the same problem with her Neon a couple months after mine. It’s important to have common bonds with other people. Thanks! By the way, this mechanic suggested I should inquire to see if I could recover my expenses from Chrysler for that, since it is the result of a defective engine. Should I look into that on my own or can you help me there? I’ve replaced 4 batteries already in 5 years. Once, you folks told me you found defective wiring that caused batteries to die too soon. You replaced the wiring. But since then, I’ve replaced two batteries on my own. I’ve replaced the battery cables too. This is bad. With the Franklin era electrical design of my Neon, I’m concerned I may have a major electrical failure soon, perhaps a fire. My dad had a car explode one night on its own due to defective wiring (unfortunately for my argument here, it was not a Chrysler product. But I bet you wondered for a second, huh?). I don’t want the car to explode while I’m in it. Frankly, I do want it to explode when no one is in the car or within 100 yards of it. Then I might get enough insurance money to buy a second-hand Schwinn. I’ve had four major brake jobs on this car. Most of the original brake system components have been replaced by Midas at substantial cost to yours truly. I have the Midas extended warranty on the right front wheel, because for some unexplained reason, that side wears out completely every year or so. I don’t drive like a loon. I do all the necessary maintenance on my car. The Midas guy blames Chrysler and so do I.
I’ve replaced the starter, oxygen sensors, and some other major components. Did I mention the car has been towed 7 times? Can you imagine how inconvenient that has been for me? I have nothing against tow-truck drivers; they are usually better conversationalists than cab drivers, so the many rides I’ve had from them have at least been affable. But I want to drive my own car places. It’s a special privilege I think I deserve. Perhaps you could pay me for some positive advertising. I did buy the extended warranty on this car, which in fact did pay for most of the major repairs in the first 4 years I owned it, before the dreaded 70,001st mile. I am the poster boy for extended warranties! The warranty more than paid for itself on my behalf. Nevertheless, the warranty didn’t cover some things it should have, like an $80.00 towing bill because the problem turned out to be a dead battery – a battery that Chrysler replaced only a few months before and supposedly fixed the problem which had caused its premature demise (see the above section on faulty wiring and Benjamin Franklin). One of your way too busy regional folks declined my request for a refund of that amount, reminding me that towing is not covered by the warranty for dead batteries. Since by this point, the car breaking down was not unusual and I was very familiar with your roadside assistance program, and because I knew the problem was (and is) more than just a dead battery, I wisely in my view took the car in to be fixed. The dealership and your regional guy didn’t seem to find it odd that batteries keep dying and treated my like I was out of line to ask for a refund. So I tried to complain to you directly. I never did hear back from you on a letter I sent regarding this situation. I didn’t follow up because you obviously don’t care to keep me as a customer anyway, or you are too busy dealing with all the other Neon owners’ troubles to get back to me. I’d like to sell the car, but I can’t because I can only drive it about 30 miles before something else goes wrong. (This has been my recent experience as the car has been in and out of the shop over the last few weeks. They can’t even find what’s causing the problem this time.) Plus, if I sold it, I’d probably get shot by the guy I sell it to after he walks 30 miles back to my house. Can’t be too careful these days you know. I’ve wanted to sell it for almost 3 years now, but the value of the car was dropping faster than I could pay it off. Now it’s paid off, but not worth as much as the computer I’m typing this letter on. So I could drone on for a while on this car. As you can tell, this car has not been friendly to me. I have been shown no courtesy from Chrysler so, at this point, there is no need for me to ever test-drive a Chrysler again. And I’ll make sure that no one I know does either. Everyone I know sees me driving borrowed cars all the time, and they know why, so they are already unlikely to buy a Chrysler. I want to get rid of this car. Will you buy it back? This car has given me nothing but problems. It has cost me thousands of dollars, in repairs and rental cars and time. It has been in the shop for months cumulatively. Hardly something to be expected from a good car company such as yours. If you buy it back for a generous price, I would seriously consider trading it for a used Honda off one of your lots if it’s a really, really good deal. What do you say? I’d have really good things to say about you in my really high profile public profession. It seems like you could do something here. Its annoying to me that if you add the money I paid for the Neon to the money I’ve spent fixing extraordinary repairs to the lemon, I could have bought a top of the line Honda Accord. That’s what I would have liked in the first place, but I couldn’t afford it, and I thought buying American was the right thing to do. With a Honda, mechanics wouldn’t be laughing at me because they wouldn’t be seeing me. That would be nice. I look forward to your enthusiastic and prompt response. Since I didn’t get one last time from you ninnies, I’m also sending this letter to a few other people, just to see if they might care more. I’ve got nothing to lose and nothing better to do, since I don’t have a car to get out.